At the beginning of April I declared my Pineapple Quilt as my target project to finish for Sew BitterSweet’s A Lovely Year of Finishes Challenge. Left to do on the lovely table topper was the quilting and binding. I am proud to announce that I have successfully achieved my goal. Without further adieu let me introduce my expertly finished Pineapple Quilt . . . I have linked my post with Sew BitterSweet’s blog. If you slide on over to there you can observe the finished items submitted by the other A Lovely Year of Finishes participants. Thanks! It always means a lot when family appreciates your work. WOW!!! Your pineapple quilt turned out beautiful!!! 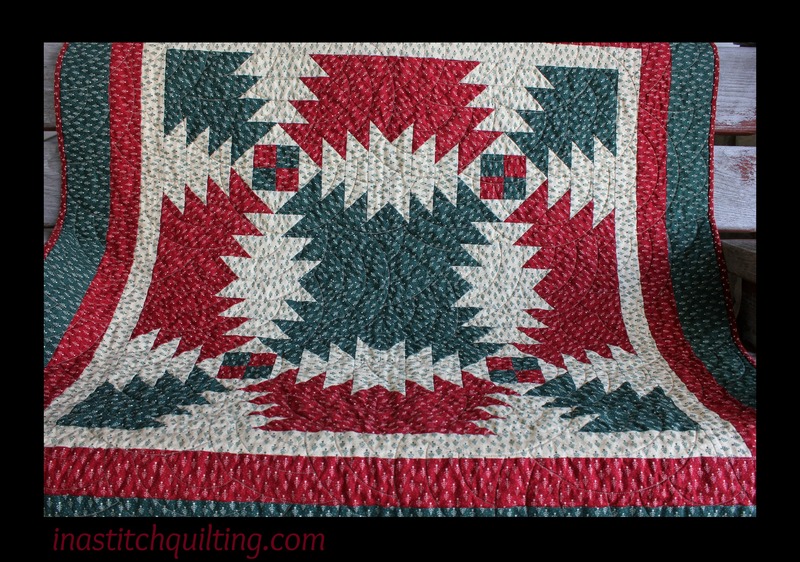 I’m headed over to Sew BitterSweet’s blog to see all of the other finishes. Thanks so much. Your words of encouragement mean a a lot! Thanks for visiting. I really appreciate your kind words.